Public cash – the ‘food bank’ for Scots law firms IN ADDITION to £1 billion provided in legal aid public cash handed over to lawyers since the financial crash of 2008, and hundreds of millions more taken by law firms from Scots local authorities & public bodies, the Scottish Government this week awarded an extra £44 million in public funds to nine private law firms to provide a range of services from litigation to debt recovery. 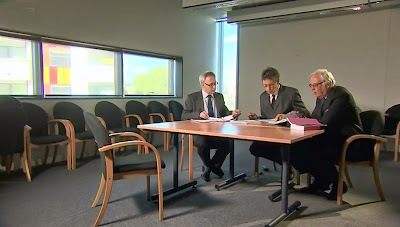 The four year Framework Agreement for the Provision of Legal Services contract, now a regular event and previously covered here in 2011: ScotGov legal services contracts link to law firm hospitality also reveals the soaring cost of the contract to taxpayers, now standing at £44 million in 2015, an increase of £24 million from 2011 when the contract was a mere £20 million. And, as reported in 2011, again, law firms who feature in the latest list of winning bidders coincidentally also appear in lists of hospitality given to key civil servants who head the Scottish Government’s legal departments. Among the firms to win large hand outs from taxpayers are Brodies LLP, who received free airtime earlier this week for ramping up their profits to £57.9 million. However, publicity relating to the high profits notably failed to mention the very same law firm – Brodies – like so many others in the list of ScotGov legal provider contract winners – serve numerous Scottish local authorities and a host of Scottish public bodies - collectively earning millions more from the public purse for doing so. 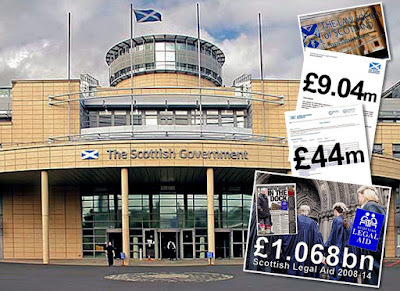 The latest round of extra work for hard up ‘top notch’ Scots law firms on the taxpayer ticket comes on top of figures released by the Scottish Government in response to a Freedom of Information request which reveal a further £9 million (£9,043,617) was spent in the past year by the Scottish Government on 137 lawyers & staff employed at the Scottish Government Legal Directorate, Legal Secretariat to the Lord Advocate and Parliamentary Counsel Office. The tender process for latest round of provision of legal services to the Scottish Government - launched a year ago, was run by the Scottish Procurement and Commercial Directorate with the finalised framework available to over one hundred public bodies in Scotland, including NHS organisations, fire and rescue services, the Scottish police authority and the equality and human rights commission. The former panel was renewed in 2011 and included eleven firms, namely Anderson Strathern; Biggart Baillie; Brodies; DLA Piper; Dundas & Wilson (now CMS); Harper Macleod; Ledingham Chalmers; Maclay Murray & Spens; MacRoberts; Morton Fraser and Pinsent Masons. 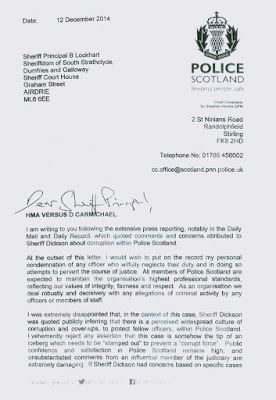 Top cop cannot interfere with judiciary – Sheriff AN EXCHANGE of letters between the Chief Constable of Police Scotland and a Sheriff Principal relating to comments made by a Sheriff of ‘endemic’ Police corruption during a criminal trial of a Police Officer - reveal Scotland’s top cop said the Sheriff hearing the case should have raised his concerns in private instead of airing such matters in open court. The case, reported earlier last month by the media HERE saw the Chief Constable accused of trying to interfere with the role of Sheriffs after the top cop expressed his anger at a sheriff who suggested a cover-up culture might exist within his force. The Chief Constable then went on to suggest it would have been better for Sheriff Dickson to raise his concerns in secret, rather than in court. Clearly, aggrieved at the situation, the Chief Constable then sent a flurry of press cuttings to Sheriff Principal Lockhart, along with an offer to meet to discuss the situation. Responding to the criticisms, Sheriff Principal Brian Lockhart told the Chief Constable members of the judiciary are entitled to make comment on cases before them, and the offer to meet was refused. Whether the Lord President at the time – Lord Brian Gill – took any further action on the matter, is unknown. 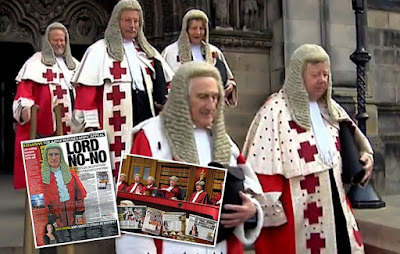 However, during his time as Lord President, Lord Gill was prone to issue guidance and edicts if matters concerning the judiciary boiled over into the media - therefore it would be surprising if Scotland’s top judge at the time gave no input on this affair. Ironically, the Police Officer who was the subject of the heated exchange had his conviction quashed last week on appeal. David Carmichael was originally sentenced to seven months in prison for wilful neglect of duty after a court heard claims he deliberately lied to protect a fellow officer from being investigated for allegations of drink driving. Former Strathclyde police constable Carmichael had been freed on interim liberation pending an appeal against his conviction and the jail sentence imposed on him. 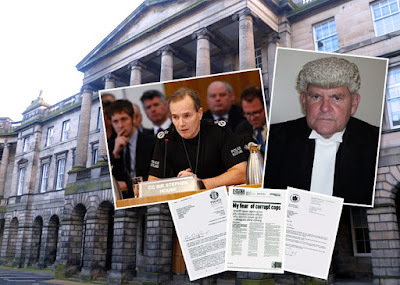 Sheriff Dickson prepared a report for judges at the Justiciary Appeal Court in Edinburgh posing the question whether on the facts found in the case was he entitled to convict. Lord Drummond Young, sitting with Lady Clark of Calton and Sheriff Principal Ian Abercrombie QC, ruled that the answer was in the negative. The senior judge said they would give reasons in writing for the decision later. Carmichael's counsel, Gordon Jackson QC, said: "This appellant was convicted of a common law offence of neglect of his duty as a police officer." Mr Jackson said the alleged failure fell into three parts - failure to make full and proper inquiry, failure to follow a procedure requiring a person to reveal who was driver of a car and a false report. The senior counsel said: "That would be a matter of police discipline but would not be neglect of his duty." While the events are now well documented, Justice Diary has published the correspondence between the Chief Constable & the Judiciary in full which was released by the Judicial Office in response to Freedom of Information Requests – given the content of the communications is in keeping with the public’s right to know, and the current debate on role of the judiciary along with judicial transparency & accountability. Legal establishment & judiciary to select Scotland’s new top judge. THE PROCESS leading to the eventual appointment of Scotland’s next top judge began today, almost two months after the sudden retirement of Scotland's longest serving judge - Lord Brian Gill - who served his last three years on the bench as Lord President & Lord Justice General from 8 June 2012 to 31 May 2015. Earlier today, the Scottish Government & Judicial Office jointly announced First Minister Nicola Sturgeon has established a selection panel comprised of in-house establishment figures including senior members of the judiciary, to make recommendations to the First Minister by Friday 30 October for a new Lord President, the most senior judicial office in Scotland. However, unlike the selection of senior judicial figures to the top courts of modern democracies such as the United States - where elected representatives have the chance to publicly quiz candidates applying to fill senior judicial positions, the interviews for, and eventual selection of a new top judge for Scotland will be concluded in the now familiar, secretive behind closed doors process controlled by vested legal interests, and fellow members of the judiciary. In short – the public will only find out when one wig tells another wig who is going to be their next boss, and the Lord of all our courts. The position of Lord President – with a salary of £220,655 a year, enormous perks including access to international travel and unrivalled power – even to challenge the Scottish Parliament - is responsible for leadership of the entire Scottish judiciary, in addition to chairing the Board of the Scottish Courts and Tribunals Service. The office holder is the most senior judge in Scotland, with authority over any court established under Scots law, apart from the Supreme Court of the United Kingdom. Brian Gill (73) who also served as Lord Justice Clerk from 2001 until 2012 when he was appointed Lord President of the Court of Session – left the position vacant earlier this year after a stormy three year term - marked by the Scottish Government’s watering down of the Scottish Civil Courts Review proposals to reform Scotland’s “Victorian” civil courts, and a bitter two year confrontation with the Scottish Parliament over proposals to require members of the judiciary to declare their vast and varied interests. Among those who are now expected to put their names forward for the position of Lord President are several names of current Lady Senators of the Court of Session – leading to recent speculation by legal insiders that Scotland could gain it's first ever female top judge - in effect, a Lady President of the Court of Session. 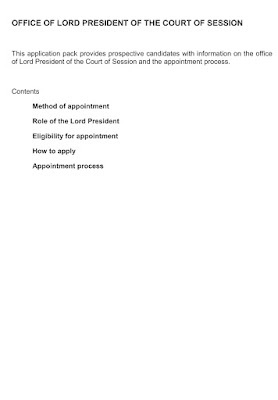 The function of the selection panel is to make recommendations to the First Minister of those whom they have assessed as suitable for appointment as Lord President. That assessment must be solely on merit. On completion of the interviews the panel will therefore submit a written report to the First Minister containing its recommendations. The First Minister will then carry out the statutory consultation with the Lord Justice Clerk. Following this consultation, and with regard to the selection panel’s recommendations, the First Minister will in turn make her nomination to the Prime Minister. The Prime Minister will then make the recommendation to Her Majesty the Queen. Only once Her Majesty has agreed the recommendation will candidates be informed of the outcome of the selection stages. * Be an outstanding lawyer in the main areas of the law that come to be determined in the Court of Session and the High Court of Justiciary. * Possess a thorough understanding of the theory and principles on which the law is based, its practical application and an ability to analyse and explore legal problems creatively and imaginatively. * Be able clearly and succinctly to set out complex legal issues both orally and in writing and to explain the reasoned basis for any decision. * Be aware of the areas in which the law is developing with a demonstrable desire to master new and unfamiliar areas of the law. * Provide visible and visionary leadership for both the Scottish Judiciary and the SCTS. * Inspire confidence, command respect and gain commitment from others. * Provide leadership and strategic direction to ensure that decisions are taken and implemented to deliver an effective and efficient court service across Scotland. * Lead reform within financial constraints and at a time of significant change. * Lead change in encouraging a more diverse judiciary. * Integrity, independence of mind, moral courage and the ability to command respect. * Social awareness and understanding of the contemporary world. * Sound temperament, consideration and courtesy. * Excellent communication skills which support the representational role on behalf of the judiciary and SCTS. * Fairness, impartiality and a responsible attitude. * An ability to set and promote both the highest standards of behaviour in court and wider judicial conduct. Sir Muir Russell was appointed as lay Chairing Member of the Judicial Appointments Board for Scotland in October 2008 and has been reappointed twice, until September 2016. Sir Muir was educated at the High School of Glasgow and Glasgow University, where he took a first class honours degree in Natural Philosophy. He was Permanent Secretary to the Scottish Office and then the Scottish Executive from 1998 to 2003 and Principal of the University of Glasgow from 2003 to 2009. Mrs Deirdre Fulton was appointed a lay member of the Judicial Appointments Board for Scotland in February 2015. She is a graduate of University of Strathclyde and has a Masters in Business Administration. She runs her own consultancy business with a focus on providing meaningful insight and analysis, mainly to clients in the aviation sector. Typical assignments include strategic planning, due diligence, market research, marketing and communications. Prior to setting up her own company in 2008, she worked at a senior level in the Scottish aviation industry and gained extensive experience of corporate strategy and operations as well as people and resource management. She is Vice Chair and Trustee of her local Samaritans branch with specific responsibility for recruitment and selection. Lord Reed was appointed to the Supreme Court of the United Kingdom in 2012 and is one of the two Scottish Justices of The Supreme Court. Lord Reed is a graduate of the Universities of Edinburgh and Oxford. He was admitted to the Faculty of Advocates in 1983, where he undertook a wide range of civil and criminal work. He served as a senior judge in Scotland for 13 years, being appointed to the Outer House of the Court of Session in 1998 and to the Inner House in January 2008. During 1999 he sat as an ad hoc judge of the European Court of Human Rights. Lady Dorrian was appointed as a Senator of the College of Justice in 2005, having served as a Temporary Judge since 2002. She was appointed to the Inner House in November 2012. Lady Dorrian is a graduate of the University of Aberdeen (LLB). She was admitted to the Faculty of Advocates in 1981 and was Standing Junior Counsel to the Health and Safety Executive and Commission between 1987 and 1994. She served as Advocate Depute between 1988 and 1991 and as Standing Junior to the Department of Energy between 1991 and 1994. Lady Dorrian was appointed Queen's Counsel in 1994 and between 1997 and 2001 she was a member of the Criminal Injuries Compensation Board. Lady Dorrian was appointed as a judicial member of the Judicial Appointments Board for Scotland in July 2011. Banned lawyer John O’Donnell escapes jail A BANNED SOLICITOR who was given a three month custodial sentence earlier this year for posing as a colleague to lure clients has had his jail sentence quashed during an appeal hearing at the Court of Session earlier this week. John Gerard O’Donnell (64) was found guilty of breach of interdict and sentenced in February by Lord Stewart after the court heard details of O’Donnell’s eleven year trail of ruined clients and consistent failures by the Law Society of Scotland to protect the public & clients from rogue solicitors. But earlier this week - Appeal judges admonished O'Donnell after hearing of mental health problems and lack of proof over criminal motive. Lady Dorrian, who sat with judges Lord Drummond Young and Lady Clark, ruled that Lord Stewart acted incorrectly when he ordered O'Donnell to be sent to jail. Lady Dorrian added: "We are satisfied that the Lord Ordinary erred in his approach to sentencing. We think a period of imprisonment is excessive.We propose recalling the sentence imposed and impose an admonition." Yesterday, the Law Society of Scotland claimed it had done all it could to protect consumers from O’Donnell and others like him who prey on members of the public and fleece taxpayer funded legal aid. Legal insiders countered there was no real protection of the public interest, and the Law Society’s system of self regulation – where lawyers investigate their own – had once again failed. 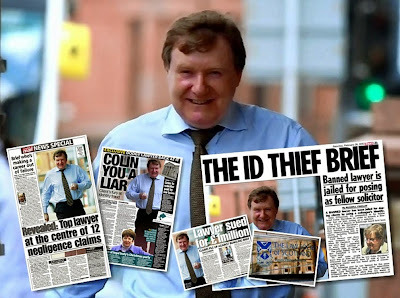 Among many examples of O’Donnell’s activities, it was revealed in court he took the identity of a solicitor colleague - Colin Davidson - in order to dodge a five year ban imposed by the Scottish Solicitors Disciplinary Tribunal in 2009 after they found O’Donnell guilty of professional misconduct for a third time. 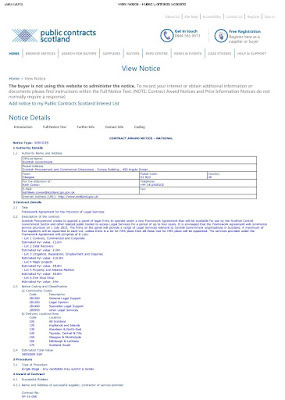 Despite the ban - O'Donnell started working for a firm on Glasgow's south side - operated by solicitor Colin Davidson. O'Donnell impersonated Mr Davidson, using his name to sign legal documents and posed as Davidson to clients. O’Donnell also gave instructions to an advocate – giving the impression that he was allowed to work as a solicitor. John O’Donnell’s identity was only revealed after a client visited Diary of Injustice and read of media investigations into the solicitor’s murky past. One of O’Donnell’s victims – widow Elizabeth Campbell (71) discovered O’Donnell was not Colin Davidson after she visited the Diary of Injustice law blog and saw his picture along with media investigations into O’Donnell’s decade long trail of client scams. An investigation by the media also established Mrs Campbell was referred to John O’Donnell by Gilbert S Anderson – employed at Hamilton Citizens Advice Bureau in a position funded by the Scottish Legal Aid Board. Diary of Injustice reported on the case involving John O’Donnell & Gilbert Anderson, here : Crooked lawyer impersonates DEAD COLLEAGUE to lure clients in fraud scam. 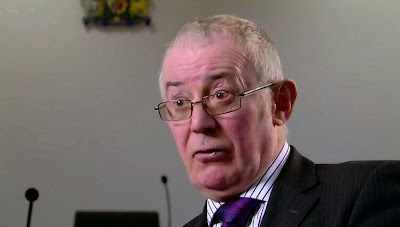 John O’Donnell featured in numerous media reports spanning over a decade relating to multiple negligence claims, and continuing investigations into his conduct for over a decade which the Law Society of Scotland was unable, or unwilling to prevent. An investigation by BBC’s Lawyers Behaving Badly featured the case of John O’Donnell.